"Before you build a masterpiece you must design it. It’s the same with life, you know. Too many people go through life living by chance, but when you live by design and know the life you want to create, you are able to create a masterpiece instead of a piece of junk." 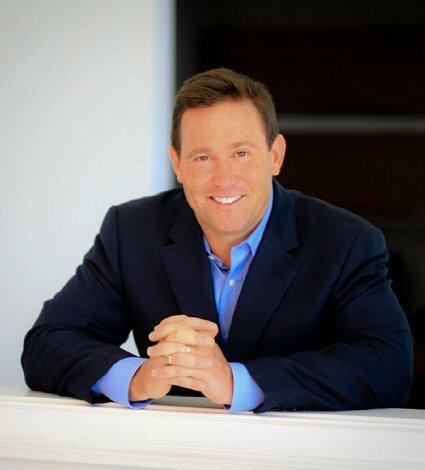 Best-selling author Jon Gordon does it again with his book The Carpenter. This fun, inspiring story is about the greatest success strategies of all, which can be applied to any business owner, leader, sports team, coach or parent. Jon Gordon imparts these principles of success through the story of the main character Michael, and the struggles he has with his business, his family, and his health. It starts out with Michael experiencing a traumatic health scare, where a local carpenter who goes by the name of “J.” happens to save his life. After his recovery, he finds J. to thank him for his generosity and quickly becomes fascinated by the town’s beloved carpenter. Ironically, Michael needs a new entertainment center and hires J. to build one. This is the start of a true mentorship where the carpenter teaches Michael his personal secrets to success in business and in life. Throughout the story, J. touches upon various topics including: Vision, leadership, sales, marketing, mentorship, value creation, serving others, relationship building, and purpose. "Just remember that simple does not mean easy. You still have to take action." My biggest take away from The Carpenter was the concept of beginning with the end in mind. So often we get caught up in the busyness of our jobs, our families, and everything else that is going on in our lives that we end up going along for the ride instead of being intentional about how we’re living. What does your life look like when you are at your healthiest, strongest, and best? What does your family situation look like while you are pursuing success in your work? Are you ignoring the people you love the most or making more time for them? What are you doing that makes you come alive? When you look back on life what do you want to be able to say about it? What will you have wanted to accomplish? What legacy will you have left? While these questions are certainly thought-provoking and relatively straightforward, having the discipline to answer them and structure your life to work to attain them is difficult. This becomes the carpenter’s challenge to Michael: to lead his life by knowing what his end game ultimately is. "I expect great things to happen today." A consistent message throughout The Carpenter is what you believe to be true will become what is true. Truly, our minds are the most powerful and intricate “computers” on the planet and we must constantly program our mind and thoughts through talking to ourselves in a positive, encouraging manner. Go ahead and give them a try. "It’s what we do after we fail that determines what we build in the long run." We’ve all failed at something. It’s ultimately, what we do after we get knocked down that defines us. J. works to paint this picture after Michael’s business doesn’t become a success right away. J. shares stories with him about how some of the most successful people throughout history have experienced great failures: Steve Jobs being fired from Apple, Walt Disney fired from a newspaper for a lack of ideas, Oprah fired as a news anchor and told she was not fit for TV. This is great advice. We all have the ability to control how we react to various situations in our lives and failure is no different. It can be the end of a pursuit or it can be the wake up call to course correct, dig a little deeper and find a way to succeed. I’ll leave you by asking, what kind of legacy are you leaving behind?